Since its creation in 2001, Ventura24.es has aided a lot of individuals by creating opportunities for winnings on their website. 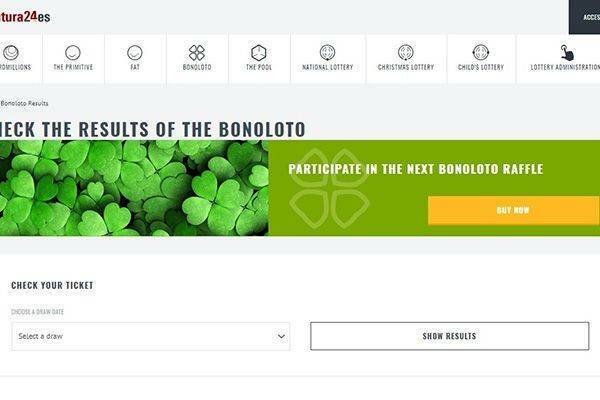 What is most impressive about them is the fact that they claim to be the first online lottery platform where the Christmas Gordo which is a very big deal was managed. Their website appears very organised but not as easy to navigate as it looks. 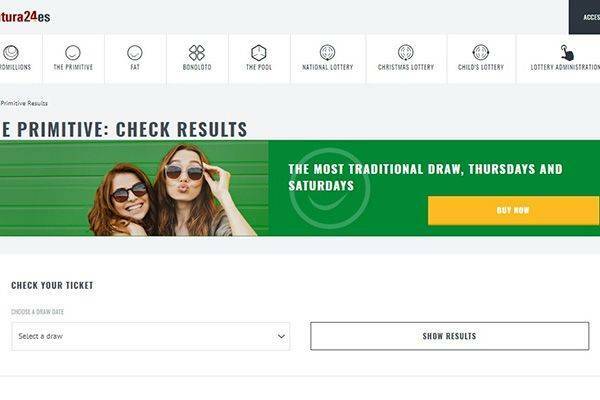 The style of the website does not give it away as an online lottery platform, it gives the look of an official website created for a company but nonetheless, most of their information is readily available on the site. Like most lottery games, everyone is given a chance to play but not everyone is guaranteed a chance of winning so you have to play as much as you can before you actually win. You could be lucky and win at just one play or you could play for as long as years without emerging a winner. 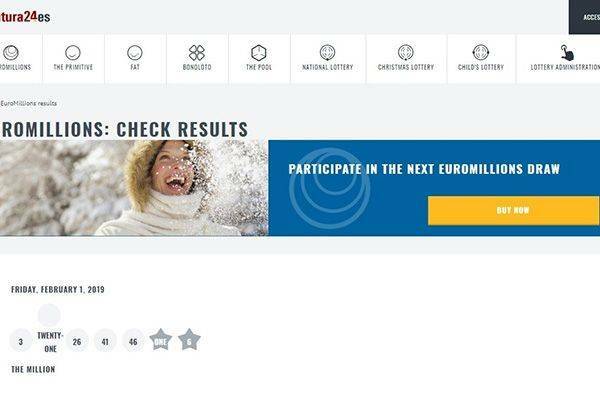 At Ventura24.es, you are given a chance to play the Euro million game with your friends, this not only your chance of winnings but also makes the game more interesting as involving your friends in a game could make you both winners. The games on the website are designed for both novice and professionals but people under the age of 18 are not allowed to participate in any of the games on the website. If you are not Spanish, you are expected to send a copy of your documentation for verification before you are allowed to play. Ventura24.es offers a total of 5 games on their website. These 5 games are predominantly Spanish which means that if you are looking to spice up your online lottery with a variety of games then Ventura24.es is not meant for you. 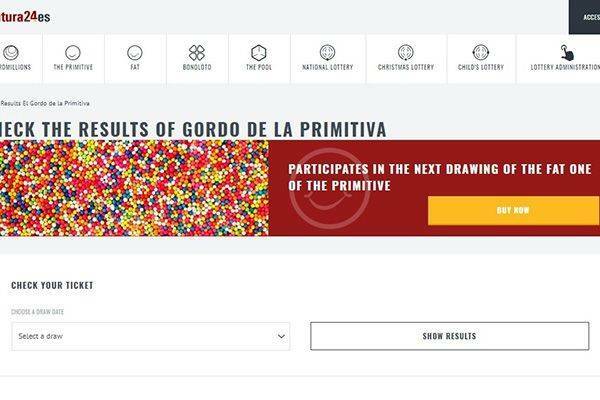 The 5 games available on the website are; la Primitiva, Euro millions, El Gordo, Bonoloto and La Quiniela. They also offer football pools, the national lottery, gold giveaway and FAT. You can play any of these games as many times as you want and you are also offered discounts for multiple plays. Every game on the website comes with their own set of rules and regulations but one thing that goes for every game is that to participate in any game; you must play with a certain amount of money ranging from 3 euros to 20 euros depending on your choice of game while lotteries to be won in the Ventura24.es online lottery ranges from 200 euros to 269 million euros. Ventura24.es also believes in cutting a huge percentage from their winnings. 20% of any winning from 2500 euros is used as a tax. There are mobile apps readily available for iOS and Android platforms. The Android app requires downloading and manually installing an .apk file; But you can play any of the games from your mobile browser. As stated earlier, every information needed about Ventura is available on the website but the website needs some more work to make it pop. I couldn’t find any sign of promotions displayed on the website or online in general. To receive payments in Ventura24.es, your winnings are either sent directly to your account or you are made to collect your cheques from the physical location in Spain. 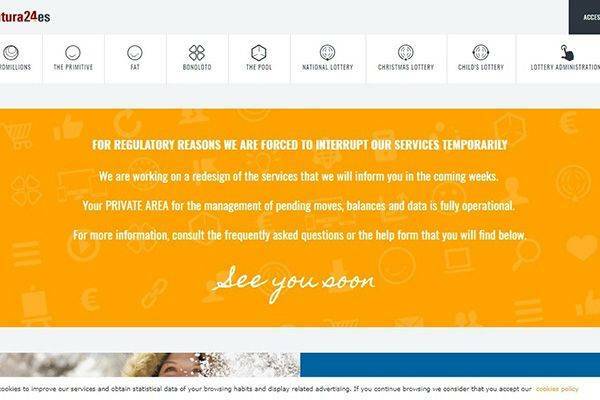 They have a FAQ which helps solve any difficulties you might be experiencing as they have grouped the questions in such as a way as to allow all questions to be answered. 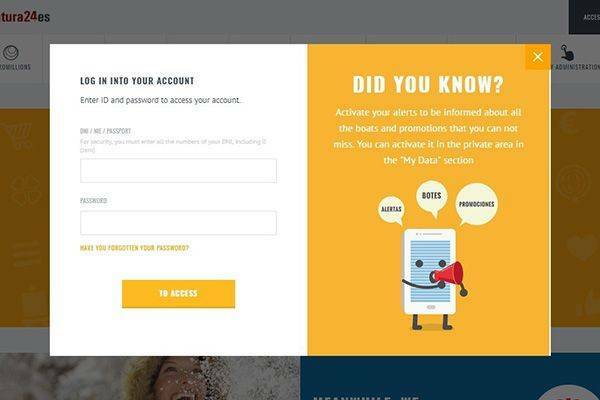 They have a contact us page that displays the basic information needed to contact at any time. They do not offer any live chats but you they have social media pages where you can network with them and other players if you choose to. There’s also a phone line available. Is Ventura24.es Lottery legitimate or fraudulent? The website is legit as it offers protection for all your information on the website. The website has so far not received any negative reviews from players in terms of being scammers. The fact that not every word on their website can be translated to English is really disturbing but then again it is focused on Spanish games but if you are looking for a wide variety of games to play then the Ventura24.es is not for you.